I have something pretty to talk to you guys about this morning which is always fab news! The lovely Moira from Sew Moira @ Etsy has sent me the most beautiful fabric glasses case made from Cath Kidston fabric! I wear glasses daily and I've been after a fabric case for a while which is cute but will still provide some protection for my specs. This is a concern for me as they're not cheap.. plus I'd have trouble seeing if they got broken! I came across Moira's shop on Etsy and noticed her cases which are both pretty and inexpensive (£3.50 for Cath Kidston fabric cases!?!) 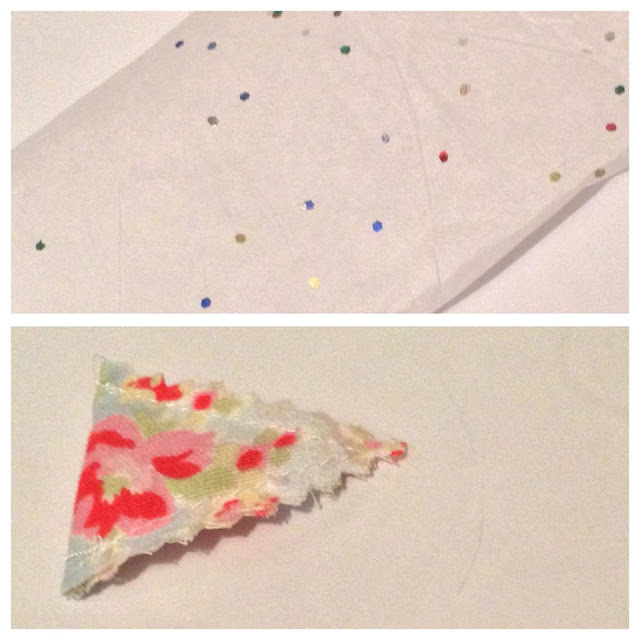 Mine is made with the stars fabric and is decorated with some polka dot Cath Kidston ribbon. It's so so adorable I actually have a mug in the stars print already! The case itself is nicely padded and will protect my glasses well from scratches when they're in my bag and I'm out and about. It is also quite structured as well, I envisioned it being slightly floppy but it's actually structured which is absolutely great. Can we all just appreciate how freaking cute the tissue paper is that this came wrapped in?! I've actually never seen tissue paper like this with little glittery sequin type things embedded into it. It reminds me of funfetti icing which is always a good thing. Moira also included a little triangle filled with lavender as a little freebie so my package had the most beautiful scent. I 100% recommend Sew Moira. I'm very pleased with my order - Moira pays amazing attention to detail to all aspects of her service. Be sure to check out her Etsy shop!